Bring a large pan of salt water to a boil. Plunge the green asparagus in and cook for 2 mins. pepper, cover with 2nd sheet of foil and fold the edges together to form a tight seal all the way round. Repeat on the 2nd baking tray with the haddock, but do not season with salt! Cook the haddock for no more than5 mins and the cod for 8/10 depending on its thickness, less rather than more. 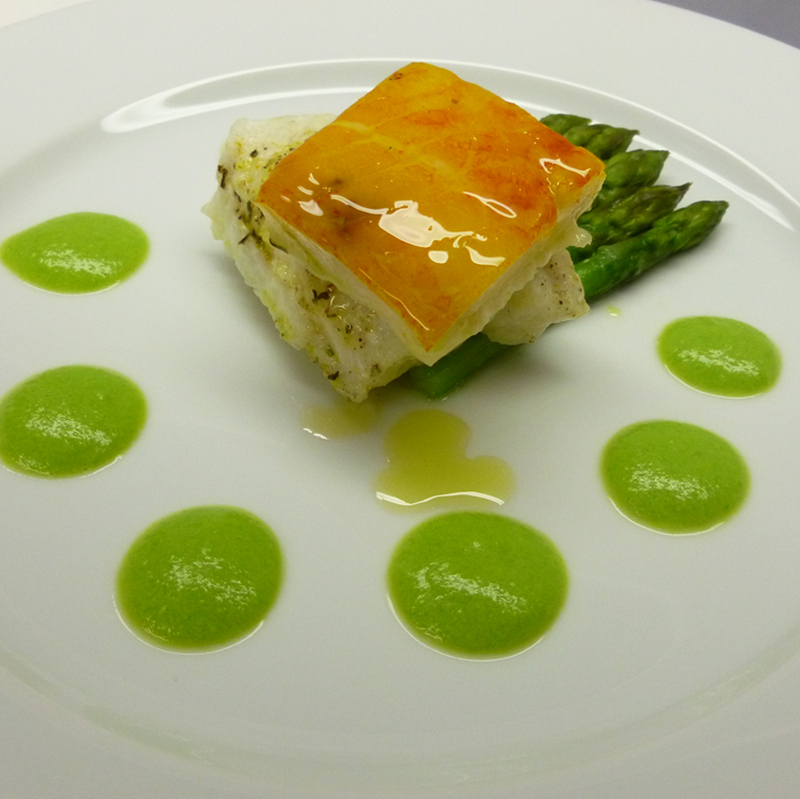 On a serving dish of your choice lay out 5 asparagus in the middle of the plate place a piece of cod on a slant on top of the ends of the asparagus and place the haddock on an opposite slant on top of the cod.